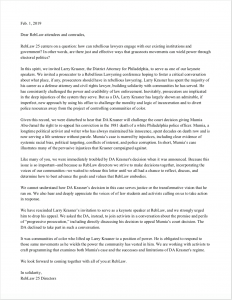 The Rebellious Lawyering (“RebLaw”) Conference at Yale has disinvited Philadelphia District Attorney Larry Krasner as their keynote speaker due to his appeal of Judge Tucker’s decision granting Mumia new appeal rights. The letter from the RebLaw conference is below. 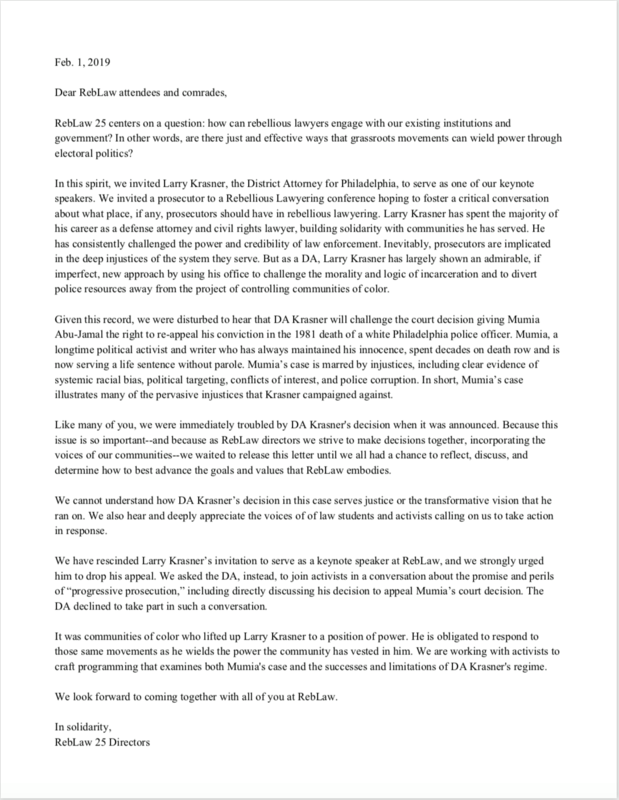 This entry was posted in Free Speech and Mumia, Legal Updates, Recent News on February 1, 2019 by admin.